hours. This repellent spray is DEET-free and child-friendly, effective against all mosquito types. 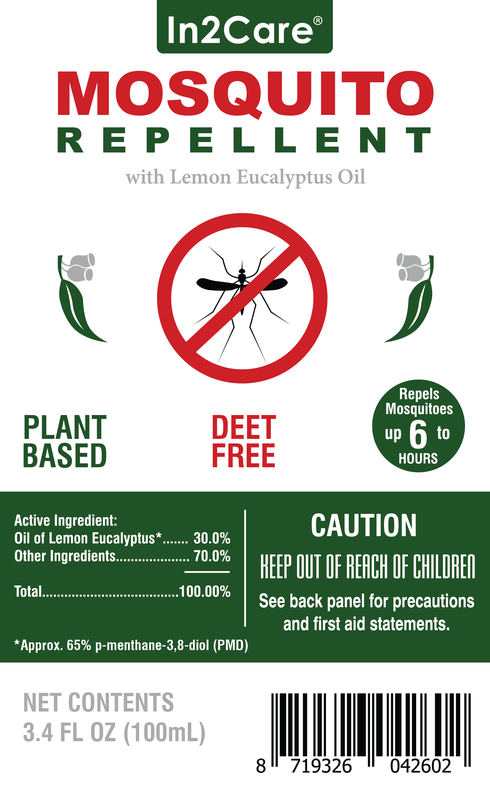 The active ingredient of the In2Care Mosquito repellent is Oil of Lemon Eucalyptus (OLE, also referred to as Citriodiol), which is a natural derived product that has pesticidal properties and repels insects. The In2Care Mosquito Repellent is effective against a wide range of biting and nuisance insects, including disease vectors such as mosquitoes and ticks. Applying our spray on exposed parts of the skin will deter insects and help protect against insect bites. Scientific testing shows that it is comparative to DEET in longevity of action and repellency. In2Care® Mosquito Repellent spray has a high efficacy and a low toxicity profile. Unlike DEET, In2Care® Mosquito reppelent is a green product and smooth to the skin. 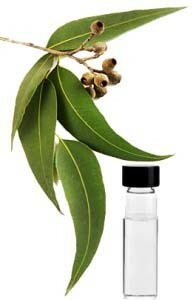 The active ingredient, oil of lemon eucalyptus, is harvested from plants in an environmentally sustainable manner. The Centre for Disease Control and Prevention recommends the use of oil of lemon eucalyptus to help people avoid the bites of disease-carrying mosquitoes. It is the only naturally-sourced active ingredient to receive this recommendation.